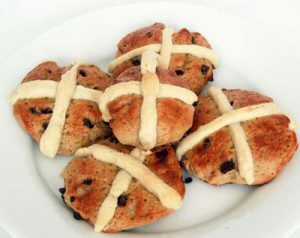 What to eat on Good Friday? Good Friday is the day Catholics and others Christians commemorate Jesus’s death on the cross. It’s a day by tradition that most people abstain from eating meat. Fish tends to be the meal of choice for Good Friday. The inclusion of seals within the category of “fish” is a most difficult issue for the more pious or traditional in the community. Those that are convinced that seal flipper pie can be served as fish do have some convincing historical – doctrinal evidence to stand on. As early as 1555, the Swedish scholar and Catholic Bishop, Olaus Magnus (1490-1557), last Catholic Archbishop of Uppsala, (Sweden) in his history (Historia de gentibus septenrionalibus. ) wrote that in Sweden seal flesh was regarded as fish during Lent and eaten on Good Friday. Research at the Memorial University Folklore and Language Archives indicates seal flippers are classed as fish. In many Newfoundland and Labrador communities Catholics have been by tradition permitted to eat “flipper pie” during Lent which coincided with the seal-hunt. Local legend says a Pope, through the local bishop, once declared the seal to be a fish so that during Lent and on meatless Fridays, Newfoundlanders had a better chance avail of this “seasonal” food source. It has to be true. In a commentary on Bill C-45: “An Act respecting the sustainable development of Canada’s seacoast and inland fisheries” federal government officials in the commentary on the document wrote. According to the Code of Canon Law (1917) some interpretations of certain of these church laws suggest that animals associated with water are allowed to be eaten during Lent, such as beaver, otter and frogs. This might also explain why traditionally, in Bay Bulls and the communities of the Southern Shore of Newfoundland that turrs and sea ducks could be eaten on Fridays in Lent. So, what will be on your plate on Good Friday? Recommended Reading: D. M. Lavigne and K. M. Kovacs, Harps and Hoods: Ice-Breeding Seals of the Northwest Atlantic, University of Waterloo Press, Waterloo, 1988, p. 104. This entry was posted in Archival Moments and tagged fish, Good Friday, Hot Cross Bun, Seal Flipper on April 18, 2019 by Larry Dohey.